ThatsITmommy loves adventures. And we found one. Actually a whole series. The Adventure Series made by Sprig Toys. 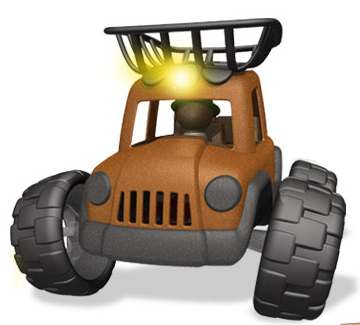 Sprig Toys, Inc., is an eco-friendly company dedicated to making the best toys the right way. Adventure Guides rely on battery free adventures for both land and water. Sprig Toys sent us the Discover Rig and the Baja Scout for the girls to test. The most striking part of these toys were the look, texture and smell of the Sprigwood. Sprigwood is a durable, child-safe, bio-composite material made from bits of reclaimed wood and recycled plastic. Another important note is that they’re paint free. The assembly was easy and Teagan was instantly pushing the Discover Rig around. It has a handle for kids to hold, and when pushed the Discover Rig generates electricity that is used to power the lights, sounds and stories. The longer you push the more sounds and adventure are shared. The handle can be adjusted to grow along with the child. Initially Cap Faraday (the included figure) startled Teagan. The figures have a unique shape but no facial features. I think she likes that the little Adventure Guide figure is faceless. She can use her imagination and focus more on actions rather than expressions. She was also surprised that the rig talked. Cap Faraday roared out “JAMBO”! Not knowing it would talk when she generated energy, Teagan began pushing slowly and curiously trying to get the voice started up again. This time she responded to Cap, “Hi, Jambo.” Excited by the animal sounds, Teagan was off on her own little safari adventure. Cecy and Izzy revved up the Baja Scout with Miki Flinders as their tour guide. A few pumps of the Scout and Miki races off for a new adventure. Cecy loves the wood scent and she spent some extra time playing with the Scout after Izzy went to bed. She recommends this great toy for story telling and bonding with your child. We love that Sprig Toys inspire activity and movement. We try to fill our girl’s toy chests with educational products, toys that require movement and strategy plus toys that are just plain fun! These toys are all that wrapped up in one! The Discovery Rig & Baja Scout even saves you money! You will never have to replace any batteries. Make sure to factor that in when you’re considering the price tag. Sprig toys are sturdy and will grow with your kids. The price reflects the process and care that Sprig puts into their products. Make sure to save the box. It has instructions on how to disassemble the Discovery Rig handle. I did some research and found that Amazon has great deals on Sprig Toys. 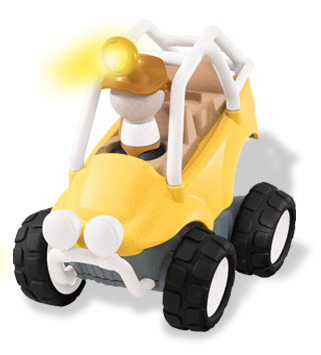 We also highly recommend checking out the Sprig Toys website: www.sprigtoys.com. Thank you for your comment. We love to get feedback from readers. 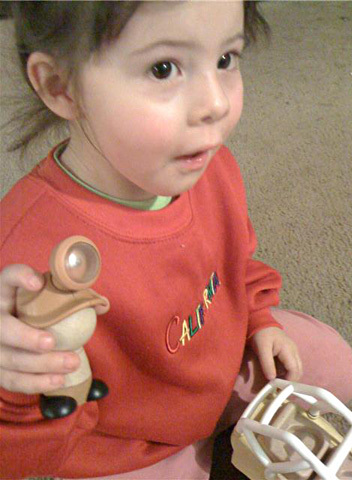 Do you happen to own any Sprig Toys?